While CORE provides training, insurance surveying, and a number of other services to enhance job safety, you can also play a role in your and others’ safety by educating your colleagues about the dangers of distracted driving. Encourage others to put away their phones and other distractions including food, beverages, cigarettes, and radio and prevent possible accidents by maintaining a safe time interval between your car and the car ahead. Every year over 100 people die in ladder-related accidents, and thousands suffer disabling injuries. Join the American Ladder Institute (ALI) and participate in the third annual National Ladder Safety Month February 24 – March 31. 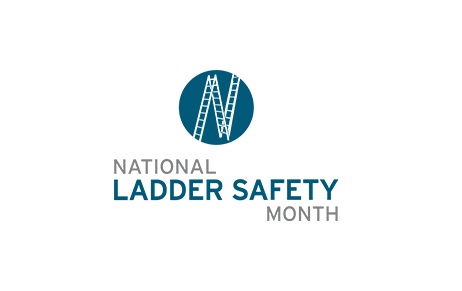 This important month was designed to raise awareness of ladder safety and to decrease the number of ladder-related injuries and fatalities. During the month of March, … Continue reading "National Ladder Safety Month- March 2019"
First what makes a habit? Habits are built in four stages. A Cue A Craving The Response The Reward. The cue triggers your brain to initiate a behavior. It is a bit of information that predicts a reward. Now this behavior could be safe or unsafe. Let’s taking tie-off for example. The cue is that … Continue reading "Safety Habits: Part 1"
March 2, 2019, is the deadline for electronically reporting your OSHA Form 300A data for calendar year 2018 on OSHA’s Injury Tracking Application (ITA) page (https://www.osha.gov/injuryreporting/index.html) OSHA published a Final Rule to amend its recordkeeping regulation to remove the requirement to electronically submit to OSHA information from the OSHA Form 300 (Log of Work-Related Injuries and Illnesses) … Continue reading "Reminder: OSHA’s March 2nd Deadline"
As we all know one of OSHA’s focus four topics is Struck By. Being struck by falling objects kills hundreds of workers each year and injures tens of thousands more. According to the Bureau of Labor Statistics, 247 deaths were attributed to impacts from dropped tools and other objects in 2015. Furthermore, according to Liberty … Continue reading "Dropped Object Protection"
OSHA’s civil penalties amounts for violations of workplace safety and health standards will increase in 2019 to adjust for inflation. The adjusted maximum penalty amounts will take effect upon publication in the Federal Register. New penalties for willful and repeat violations will be $132,598 per violation; serious, other-than-serious, and posting requirements are $13,260 per violation; … Continue reading "OSHA Penalties Adjusting in 2019"
Employers are reminded of their obligation to post a copy of OSHA’s Form 300A, which summarizes job-related injuries and illnesses logged during 2018. Each year, from Feb. 1 to April 30, the summary must be displayed in a common area where notices to employees are usually posted. Businesses with 10 or fewer employees and those … Continue reading "Deadline: OSHA’s Form 300A"
OSHA recently announced their annual Top 10 Most Frequently Cited Violations for fiscal year 2018 at the National Safety Council’s (NSC) Congress and Expo in Houston, TX. For the fifth straight year, the top five most cited violations have gone unchanged. However, Eye and Face Protection are a new comer to this year’s list. Here … Continue reading "OSHA’s Top 10 Most Cited Violations for 2018"
It’s that time of year where road conditions can be hazardous due to the winter weather. Many companies have large fleets with hundreds even thousands of drivers on the road and a lot of us will be traveling for the holidays. Here are three topics to focus on for driving in winter weather. Number one, … Continue reading "Winter Weather Driving Tips"
One of the most common complaints from workers on project sites, regarding hoisting operations, is they can’t hear the signal person’s whistle. The Rig Ring, by RK Solutions, is an electronic 120DB whistle and blinking light that combines handheld functionality with remote control capability. The Rig Ring is intended to be fixed to an overhead … Continue reading "Signaling on Construction Sites"